Wine tasting at Doccia al Poggio in Vinci. 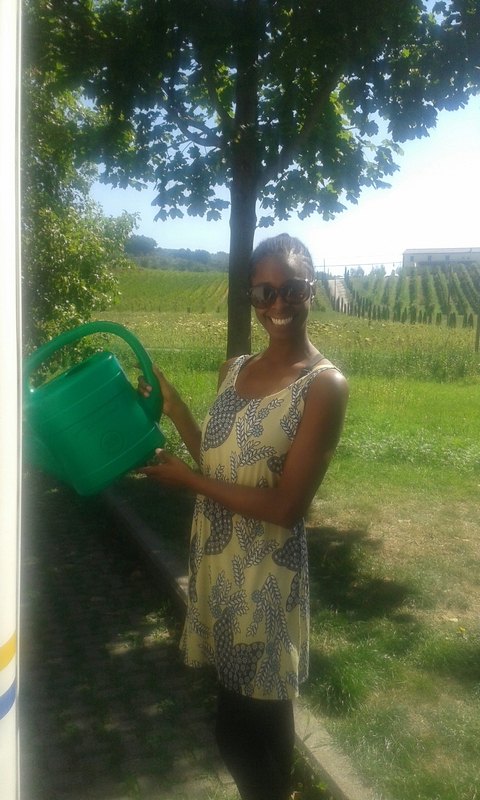 One: Go wine tasting at Doccia al Poggio vineyard. 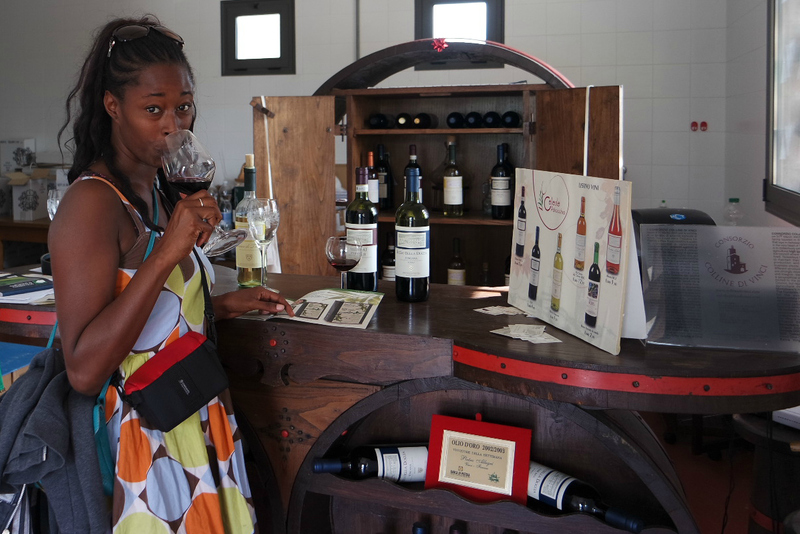 We didn’t know we had a good thing, when it came to drinking wine in Vinci, until we left. Look at me enjoying that bargain wine! It was a moment of innocence when we wandered into Doccia al Poggio vineyard, which is located next to the camper parking place we stayed at. We had no idea it was going to be the cheapest wine-buying experience of the whole trip. The lowest price red was 2.50 euros, there were a few other reds at 3.50 euros, Chianti at 6 euros and the priciest bottle was a dessert wine at 12.50 euros. In comparison to the entry price of about 15 euros for a bottle of wine in the Chianti region, this was the holy grail: this was paying what the locals’ pay. 2. Dinner for two for under 10 euros at La Monna Lisa. At 5pm locals, construction workers, mums and children and students, queue at this pizzeria to get their dinner. It was the only place with a buzz in the small village so we decided to eat there and we were so glad we did. We bought some decent slices of capriccosia, salami and margherita pizzas ranging from 1.50 to 1.80 euros each. What topped it off nicely was the local vino rossi at 4 euros a bottle and the pretty outdoor seating surrounded by aromatic herb boxes. 3. Visit The Leonardo da Vinci Museum – it’s a full day out for 10 euros! When it comes to museums and art galleries, Tuscany has them at every corner. Some are awesome and keep you amused for days while others are small, poky and leave you feeling totally unsatisfied after you get to fumble around for 15 minutes and realise there isn’t not much to it. The Leonardo da Vinci Museum in Vinci sits in the middle of these types. I loved it because it has so many places to visit, the museum itself, an art exhibition in the Church of Santa Croce, Conti Guidi Castle and also Leonardo’s birthplace, which is 3km away. This means, for the 10-euro cover charge, you can make a day of it by first going to the museum, castle and church, in the centre of Vinci, and after that take a picnic and cycle or hike up to the birthplace of Leonardo da Vinci. We walked around the exhibitions, which included real models of designs by the great inventor, and then we went on the challenging cycle up the hill and through the olive groves to his home where we were rewarded with a movie that helped us really get to know Leonardo da Vinci and, as it was 6pm, we enjoyed a gorgeous sunset after. Vinci is a scenic town (actually it’s officialy a city) that is surrounded by olive groves and vineyards and has remained more or less the same as it was when Leonardo da Vinci grew up here. This means it is awesome for mountain biking. It has steep hills that will get your heart racing – going both up and down them – and amazing views. 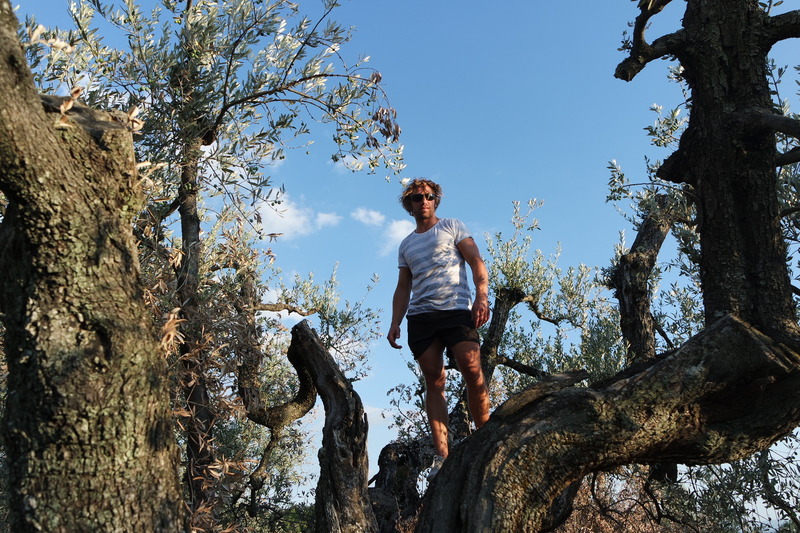 We took the track, which directs tourists to Leonardo da Vinci’s birthplace, and came across The Hill Of Art sculpture park, mysterious abandoned farmhouses and plenty of fruit trees along the way. 5. Stay for free in your mobile home. The last thing you want to do after paying for petrol to travel to and around Tuscany in a mobile home is also pay for camping. Some camping places can cost as much as a hotel room (50 euros) so our aim was to find free camper parking all the way. Area Comunale Via Girolamo Calvi 50059 Vinci (GPS N 43.78088, E 10.92857) is one of those places that costs nothing to park and has all the facilities we needed – waste water and chemical toilet discharge and fresh water – for free. To make it really special it has gorgeous views of the countryside. 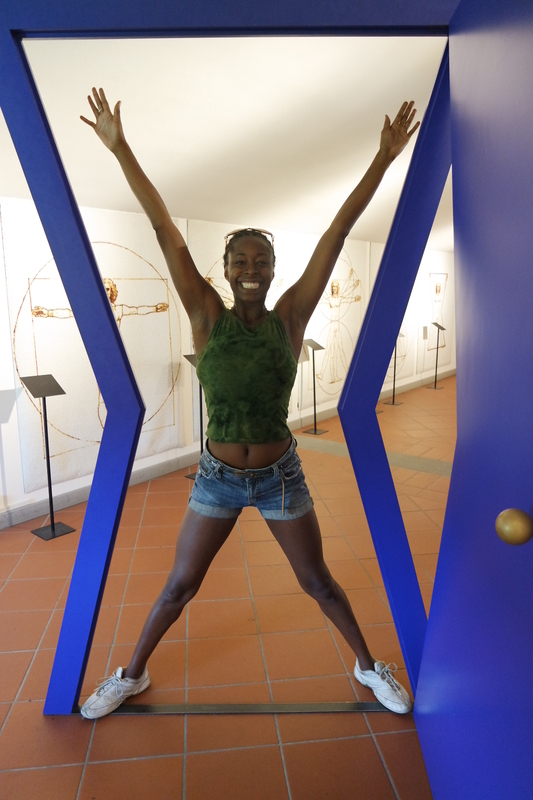 Posted in shopping, Travel, VinciTagged budget, cheap, cheap pizza in italy, cheap wine in italy, countryside, free camper parking, italy, leonardo da vinci, mobile home, museum, vinci, vineyardBookmark the permalink.